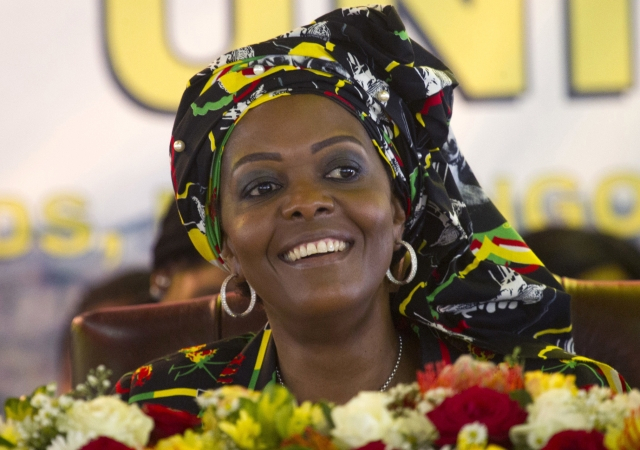 HARARE, Zimbabwe (AP) — The vice chancellor of Zimbabwe's oldest university has been arrested over the controversial awarding of a doctorate to former first lady Grace Mugabe. Anti-Corruption Commission spokeswoman Phyllis Chikundura says Levi Nyagura of the University of Zimbabwe was arrested Friday. He appears in court Saturday on abuse of office charges. Mugabe, whose husband resigned in November under pressure from the military, received a doctorate in 2014 amid allegations she did not study for it. Former president Robert Mugabe was university chancellor. Chikundura says the university should provide the "paper trail" showing Grace Mugabe's registration and academic progression. Sociology department lecturers say they have no records of Mugabe's work. Fears that the unpopular Mugabe was positioning herself to succeed her 93-year-old husband as president led the military to step in last year.